Xiaomi has launched a new budget smartphone in China, called the Mi Play. The phone is priced at ¥1099 ($159). The phone is available in three colors, blue, red and black. 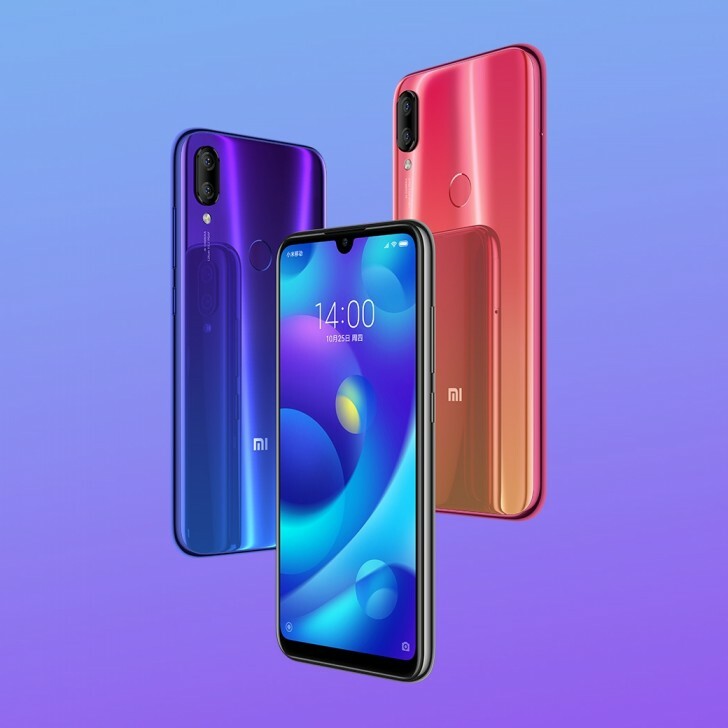 The Mi Play has a modern design, with thin bezels and a notch on the front and a glossy back with two tone gradient finish that looks remarkably similar to Huawei nova 3. The display is 5.84-inch with a 19:9 aspect ratio and 2280x1080 resolution. The rest of the hardware is a bit underwhelming but understandable considering the price. The phone runs on the new 12nm MediaTek Helio P35 chipset, with octa-core Cortex-A53 CPU clocked at 2.3GHz and PowerVR GE8320 GPU. There's also 4GB of memory and 64GB of storage. The camera situation comprises of a dual camera on the back that includes a 12MP primary sensor with AI mode, along with a 8MP front camera. The phone also has a 3000mAh battery with standard 10W charging and microUSB connector. However, the real draw here seems to be the free data. Struggling through our limited understanding of Mandarin and Google Translate's janky translation, it seems Xiaomi is offering free 4G data for one year with the phone, with 10GB available every month. Provided there aren't any major catches, this is an incredible offer, especially when you consider the phone's already low price. You could very well just purchase this phone and just use it as a mobile hotspot, assuming the service allowed you to do that (we wouldn't be surprised if it didn't). There's no word yet on if this phone will make it outside of China. Even if it does, you can count on the free year's worth of data not being part of the package elsewhere. How I can get,Iam in Tanzania, how much in Tanzania shilling? Weak GPU, A53 that clocked to pierce heaven, small battery. Is this going to be a play MUSIC? Stereo speakers?